business. 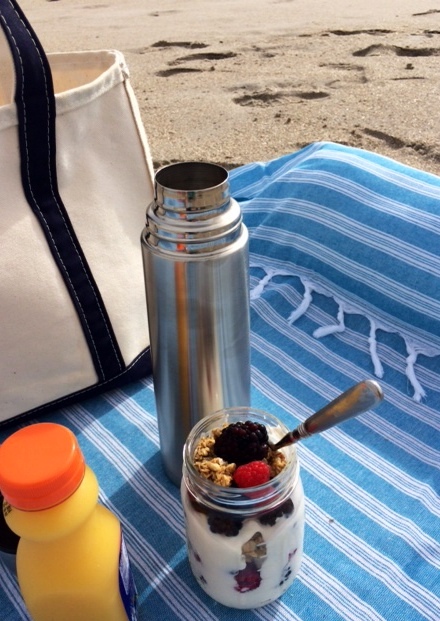 Luckily, my friends over at Sand Cloud are here to save the day and join me for a relaxed and low-key breakfast on the beach. 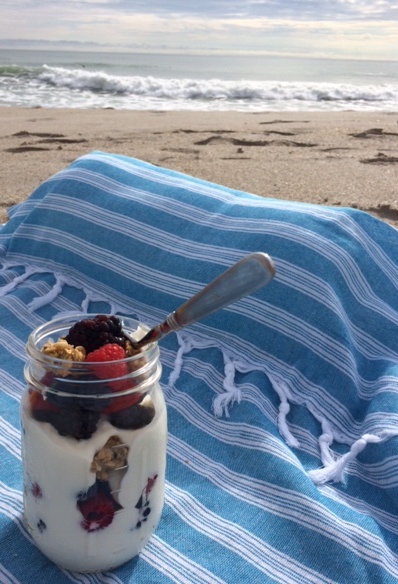 Sand, salt-air, a Sand Cloud beach blanket and a granola parfait is what I like to call a breakfast fit for a champion. Sand Cloud said it the best themselves… “The world’s most comfortable towel”. That statement couldn’t be more true and whether you are lying on the beach, park or even in your back yard this towel solves the problem we all have. Made with high end Turkish cotton, this towel becomes softer with each wash and since the towel is so lightweight it can be rolled up and tossed into a small tote. So kick off your Jack Rodger sandals East Coast… and try out a Sand Cloud and bring a little bit of Southern California home.